"Top Quality DJ, Disco & PA Services"
Deep Beats Entertainment offer high quality mobile DJ and disco services. We've operated in the the UK over the last 5 years purely on word of mouth and personal recommendations, so are confident that you will be delighted with our service. Weddings and corporate events in exclusive venues form most of our work to date. However, the wealth of knowledge and experience that we've gained in these high pressure live events is applied to every event that we deliver. This helps provide you with the peace of mind and the perfect atmosphere for your event to be hugely successful. Whatever your event needs, we are flexible enough to deliver. We understand the needs of our clients and the stringent requirements needed by venues and event managers making us ideally placed to help ensure that your event is a total success. Contact us to discuss your event and get a free, no obligation quotation. Required by many venues, Deep Beats Entertainment Ltd has a current PLI policy with Mobile DJ Network in the amount of £10 million. Also required by many venues, Deep Beats Entertainment Ltd has supplied satisfactory evidence of holding current PAT inspections of their equipment dated within the last 12 months. 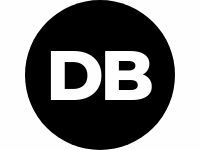 A Method Statement outlining Deep Beats Entertainment Ltd&apos;s Health & Safety procedure for setting up disco equipment has been provided. Deep Beats Entertainment Ltd has provided Risk Assessments undertaken at events sourced via needadisco.com, indicating that they can undertake these competently. Why do people choose to book Deep Beats Entertainment Ltd? Experienced, seems to understand our needs, great reviews, friendly and approachable, helpful and reasonably priced. responded quickly and is able to meet our needs on the day. He was very professional and accomodating. Price and reviews were good. "Tony was very professional, polite and will be invited to work with us again. Couldn't fault him." "Your feedback is much appreciated. Thank you for choosing Deep Beats Entertainment. Tony G"
"Very good evening all round. Tony was great and helped us party into the night. " "Your feedback is much appreciated. It was a pleasure to help with your celebration. Thank you for choosing Deep Beats Entertainment. Tony G"
"Thought Tony was not only extremely professional but a really friendly and helpful chap, he went above and beyond the call of duty to accommodate guests musical requests and was very patient when the timings over ran. Will definitely use again and recommend to my friends and family." "I'm delighted that you're happy on such a special and important occasion. It will be my pleasure to work with you again. Best wishes, Tony G."
"Can not recommend Deep Beats enough. Tony was very accommodating and very professional. 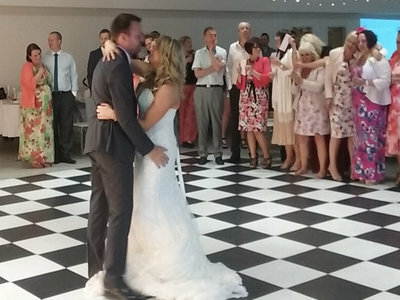 He met all our requirements and made sure the dance floor was constantly full! He will be our first choice for entertainment in any future events. [ADMIN: Feedback earned under a different company name Deep Beats Entertainment]"
"It was my pleasure to be a part of your celebration. Your feedback is very much appreciated. Thank You. - Tony G."
"Tony was brilliant from start to finish. Read the room perfectly and the music had everyone up dancing all night long. Would highly recommend Tony - a star...... [ADMIN: Feedback earned under a different company name Deep Beats Entertainment]"
"We were completely happy with the service provided. The DJ played the supplied playlist along with some of his own choices (as requested) and took requests on the night. We didn't want any mic interaction and there was none. He judged the mood perfectly and stopped the music for a speech when required and was completely professional. Tony helped make it a brilliant night. Highly recommended. [ADMIN: Feedback earned under a different company name Deep Beats Entertainment]"
" It was a pleasure to be a part of your special celebration and I am pleased that you were happy with the service provided. Thank you very much. I wish you all the best. Tony G. "
"I would certainly recommend Tony. He played an excellent variety of music to suit all tastes. [ADMIN: Feedback earned under a different company name Deep Beats Entertainment]"
"It was a great night. Your party was Hot! Hot! Hot! Thank you so much . 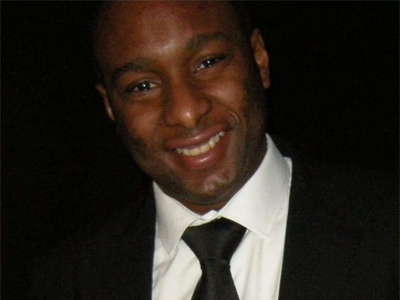 Tony G. "
"Hired Tony to DJ at my 30th and he was excellent from start to finish. Very professional setup, great musical choices/took requests from guests with a range of ages and everybody had a great time. I would definitely recommend him for your event. [ADMIN: Feedback earned under a different company name Deep Beats Entertainment]"
"Thank you so much. Your feedback is very much appreciated. Wishing you all the best, Tony G."
"Was absolutely thrilled with the service received from Tony. Our timings were a bit out as the meal went on a bit longer than expected but that wasn't a problem for Tony who was happy to set up and then chill until required! He found all our Spanish requests and the mix of music was enjoyed by everyone. Would recommend to anyone thinking of booking a DJ! [ADMIN: Feedback earned under a different company name Deep Beats Entertainment]"
"Thank you so much. I am happy that I could contribute to your special day. Wishing you all the best. Tony G."
"Tony played at a joint birthday party I organised for my son's 21st and my daughter's 18th. He catered for a range of ages and even stayed later than arranged when we asked him to. I would definitely recommend him, he's a star! [ADMIN: Feedback earned under a different company name Deep Beats Entertainment]"
"Thank you so much. You were such a wonderful audience and I thoroughly enjoyed being a part of your landmark celebration. I wish you all the best. Tony G"
"Tony was absolutely fantastic from every aspect. He helped make a birthday celebration a wonderful and memorable event. I recommend him very highly. He was excellent and extremely professional. [ADMIN: Feedback earned under a different company name Deep Beats Entertainment]"
"Thank you for choosing me to be a part of such a momentus occasion. I am thrilled that everyone had a great time and it would be my pleasure to do it all over again some time. Best wishes to you all. Tony G."
"Tony provided a fantastic evening for my 21st. Any requests we made for music choice, Tony Did not hesitate about granting the requests! He provided music for the younger and older generations which got everyone dancing! The feedback I received from my guests was that they all had a great evening and thoroughly enjoyed themselves! I would highly recommended Tony to anyone to hire for their event! [ADMIN: Feedback earned under a different company name Deep Beats Entertainment]"
"Your comments and recommendation are highly appreciated. It was a pleasure to entertain you and your delightful guests. Thank you so much. Wishing you all the best. Tony G."
"We would like to thank Tony for enhancing a fantastic 50th birthday party. He was professional, polite and presented a wonderful selection of music. I would recommend him without hesitation. Best wishes Tony, Claire [ADMIN: Feedback earned under a different company name Deep Beats Entertainment]"
"Thank you for your lovely comments. This was a great party for a truly delightful person. I am thrilled that everyone enjoyed themselves and hope to party with you again one day. 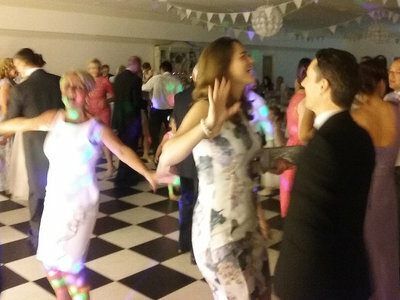 Wishing you all the best, Tony G."
"So many guests have commented that it is by far the best party they have been to for a long time and the dancing went on all night! The musis was fantastic and we would highly recommend Tony from Deep Beats! His range of music was spot on. We could not fault him at all - just fantastic! [ADMIN: Feedback earned under a different company name Deep Beats Entertainment]"
"Thank you so much for your positive comments. I am delighted to hear that everyone enjoyed your party. It was my pleasure to be part of such a momentus occasion. Joint 50th and twin 21st birthday parties are few and far between, which makes your feedback extra special to my company. Thank you for choosing Deep Beats Entertainment. I wish all of you the best. Tony G."
"The party was for my daughters 18th. The DJ had set up all the equipment before we'd even arrived and was very accommodating as to what I wanted but more importantly as to what my daughter wanted. Great variety of music chosen by the DJ but also took requests. A great night was had by all (of all ages!) A lot of compliments were passed onto me about how good the DJ was and commented if they ever needed a DJ he would be their first choice. The night was a great success. [ADMIN: Feedback earned under a different company name Deep Beats Entertainment]"
"Thank you so much! I am thrilled that everyone had such a great time and I hope we can party again in future. All the best!!! Tony G."
"Tony was spot on for our awards night, he worked round our needs and did a great job for us. Would certainly reccomend. [ADMIN: Feedback earned under a different company name Deep Beats Entertainment]"
"It was a pleasure and I look forward to working with you again. Many Thanks. Tony G."
"Had a great experience, very friendly and took into consideration my music taste [ADMIN: Feedback earned under a different company name Deep Beats Entertainment]"
"Tony is a brilliant DJ, he is prompt, polite and a lovely guy. He put on a brilliant show and played to requests, and songs from the 60s to the present day. I would definitely recommend booking him for any event, and look forward to using him again . Thanks for making a brilliant night 10 stars for Tony . [ADMIN: Feedback earned under a different company name Deep Beats Entertainment]"
"Thank you very much for sharing your thoughts. Its clients like you that make my work so enjoyable. It was a pleasure to entertain you all. Best wishes. Tony G."
"Tony was absolutely brilliant - he got here early and set up without any fuss. He played a variety of great music and our customers loved him that much that they did a standing ovation when he finished at the end of the evening. Tony was friendly, approachable and catered for everyone - I have already booked him again. I honestly can not recommend him highly enough. Thank you for a great night! [ADMIN: Feedback earned under a different company name Deep Beats Entertainment]"
"It was a fantastic night that Im sure will be remembered for many years to come. Entertaining your guests was an absolute pleasure and I am thrilled that your night was a great hit. I look forward to working with you again very soon. Many thanks, Tony G."
"Great, everything we asked for was met. Will try and book for this year! [ADMIN: Feedback earned under a different company name Deep Beats Entertainment]"
"Thank you very much! It was a wonderful evening which I enjoyed very much. It will be a pleasure to work with you in future." Deep Beats Entertainment Ltd also offers a range of additional party services not directly linked to musical entertainment. If you are contacting Deep Beats Entertainment Ltd about an event, it's always a good idea to include the DATE, LOCATION, EVENT TYPE, AGE GROUP and TIMINGS to speed things up!